Stepping stones in a garden can create a path, walkway or patio, or simply point the way on a visual trail through your garden. They make a great DIY project year round, and most can be easily done on a covered craft table or in a corner of the garage. This is a great project to get creative with and allow your personality, or the personality of your garden shine through. Here are our favorite DIY stepping stone projects, complete with instructions for creating your own. Mix Portland cement with water a little at a time until it it as thick as oatmeal. You can use almost anything as a mold, as long as it’s smooth and can release the stone once it’s cured. I like disposable plastic containers, because the stone will pop right out like ice cubes from a tray. You could line boxes with plastic wrap, use cake pans or even line nursery flats for large stones. Then spray the molds with Pam so they will release when set. Pour concrete into mold. Allow to set an hour or so to thicken, then add any decorative elements into the surface of the stepping stone. Push in gently. Allow to set overnight in the mold, then turn out and allow to cure 1-3 weeks. Trick we learned: if you are making a large stepping stone, or one that has a lot of detail and therefore not as thick, place a piece of chicken wire into the mold after you have poured or applied half the concrete. Then apply the rest of the concrete over the wire. This will strengthen your stones so they are less likely to crack. As you see in the photos below, partially burying the stones into gravel or soil will help protect the more delicate edges from breaking. Follow the individual tutorials below for their takes on a DIY stepping stone! 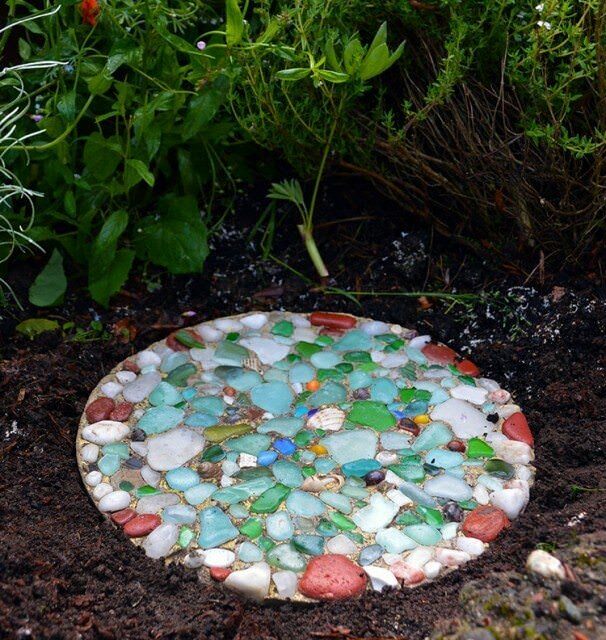 From Tanya at ‘Lovely Greens‘, make these sea glass DIY garden stepping stones! Her tutorial is easy to follow, and she even gives you tips on where to find the sea glass. This next DIY project is from Haeley at ‘Design Improvised‘. 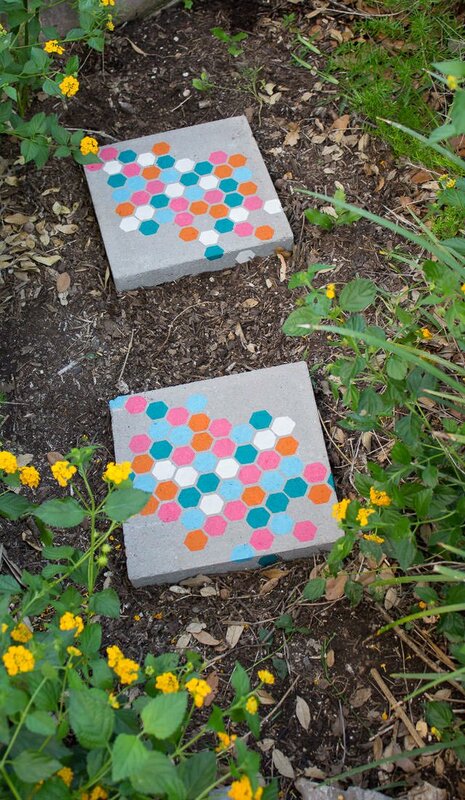 Love the colors in her stenciled garden stepping stones! 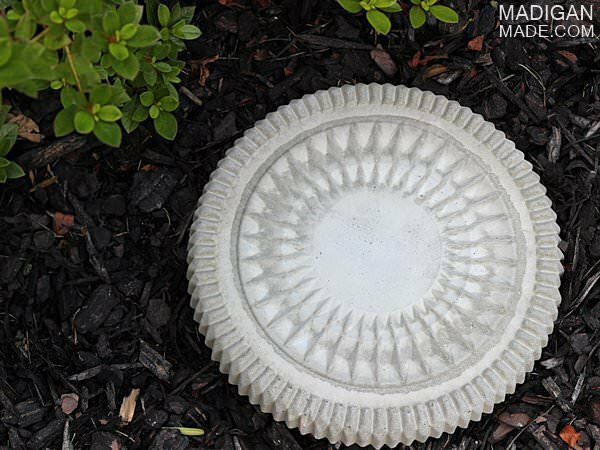 This garden stepping stone tutorial comes from ‘The Mizelle Group‘ and uses a rubber doormat to create the wonderful textured pattern in the stepping stone that you see here. Next is one of our favorites – from ‘Garden Therapy‘, this DIY stepping stone tutorial takes you through using a leaf to create these garden stones that are more like natural art! 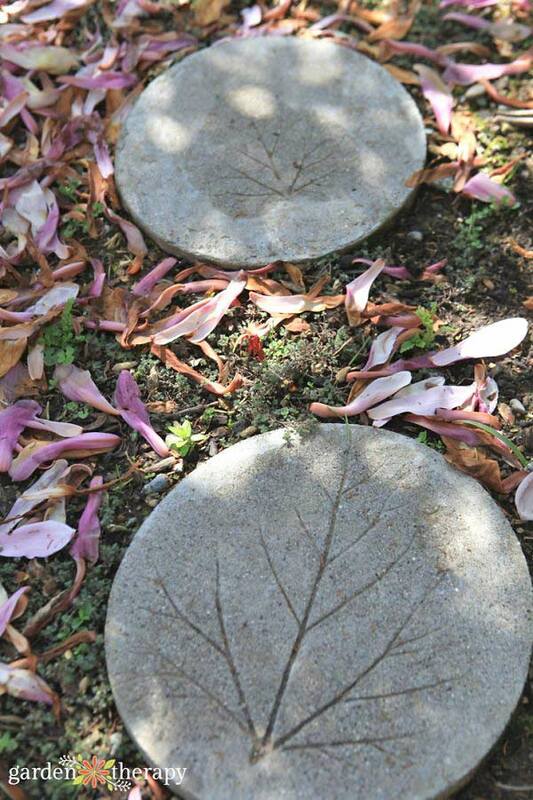 Also from Stephanie at ‘Garden Therapy‘ are these hopscotch DIY stepping stones that are so whimsical. What a great way to get kids (big & little!0 to spend time in the garden! 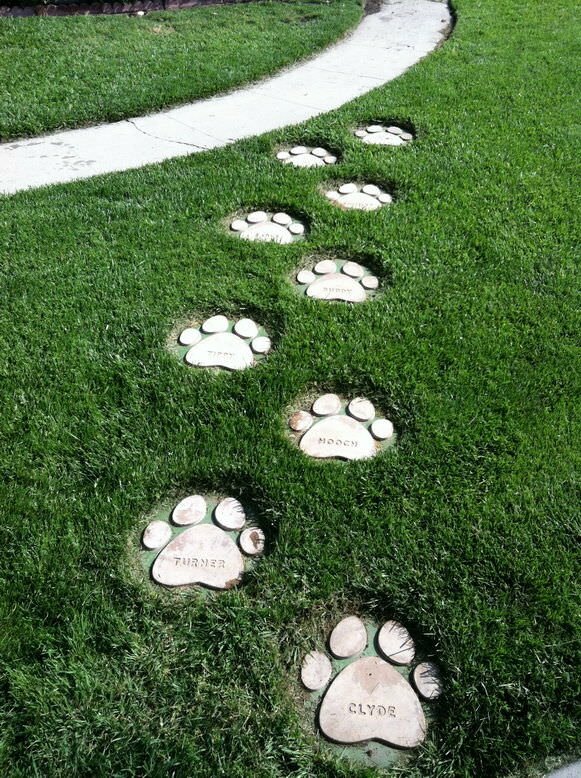 Love these paw print DIY stepping stones from ‘Instructables‘! How fun are these! Complete step by step directions. 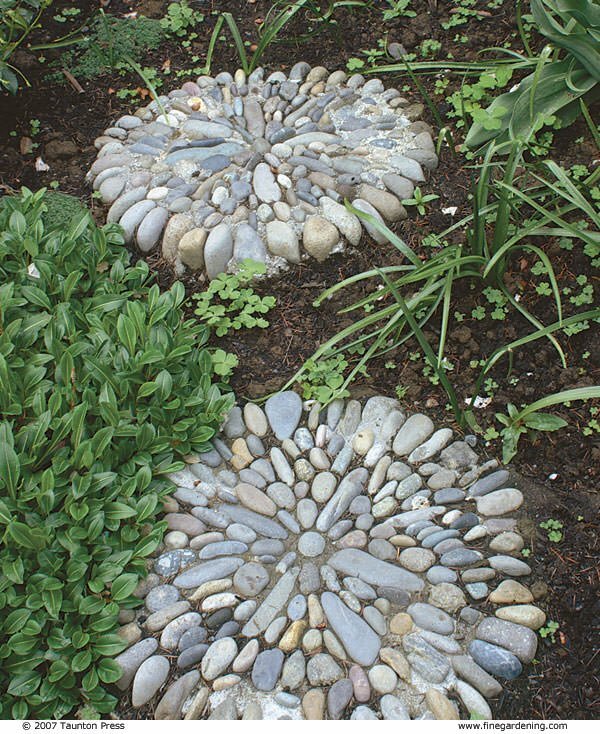 ‘Fine Gardening‘ provides a good post on creating pebble mosaic DIY stepping stones here. You can also use this technique to make larger areas of patio or pathway. I’m fascinated by this art form using only natural elements! And this one by artist ‘Jeffery Bale‘. He also has a full tutorial on how to make this mosaic garden stepping stone. 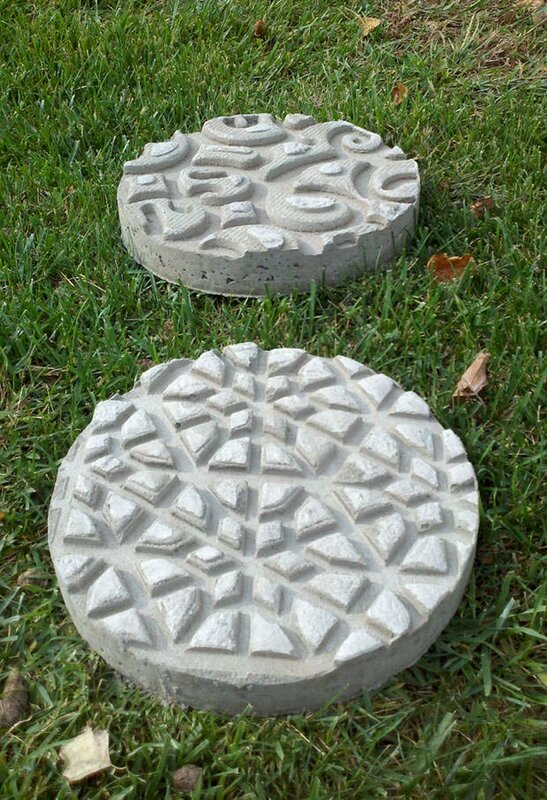 If you want a simpler project, try these stones created by ‘Madigan Made‘, using just concrete and recycled plastic trays! 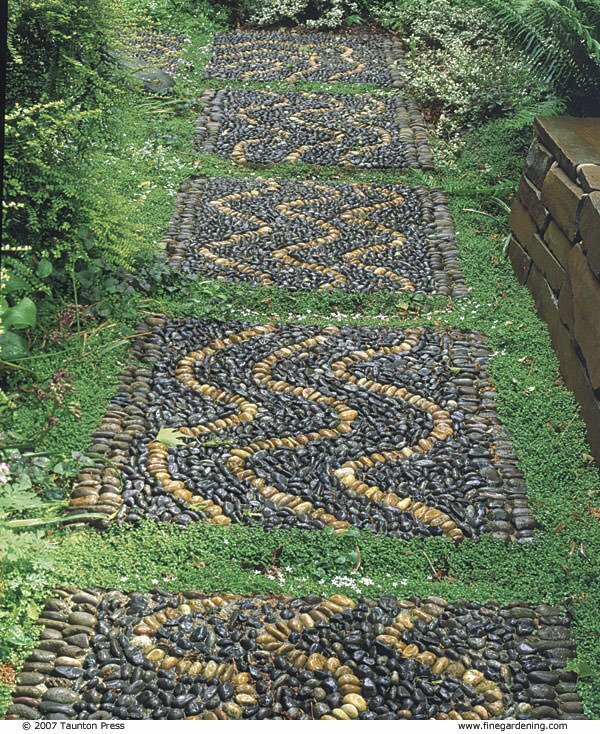 Want to take the easy route and just order your stepping stones? 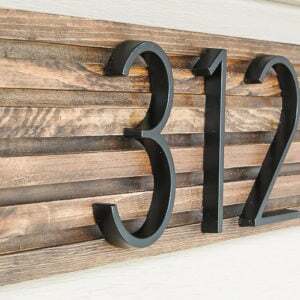 Check out these ideas, or search for more options from ‘Wayfair‘! 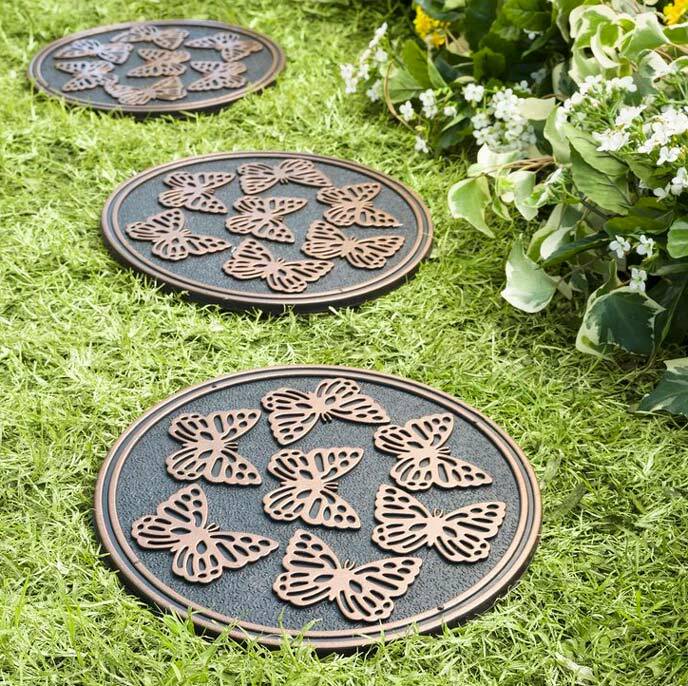 This Butterflies Stepping Stone looks pretty cool to us. Love the contrasting black and gold. These stepping stones are made with 50% recycled rubber. 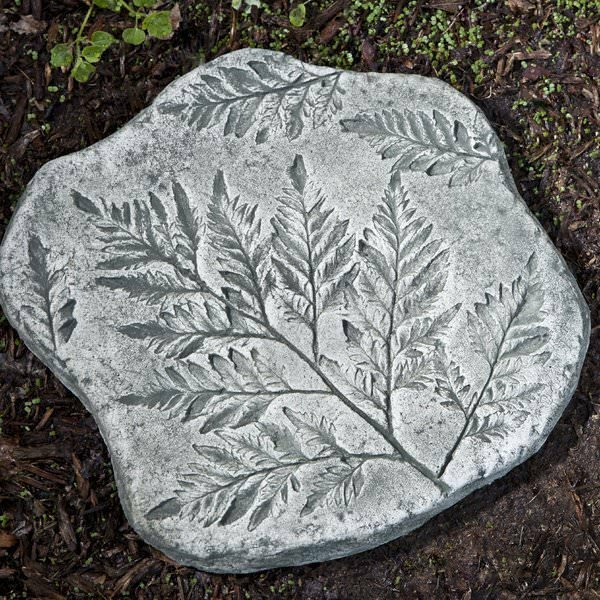 “The Fossil Fern” is a timeless stepping stone design, and has great reviews calling this “substantial” and “very realistic”! 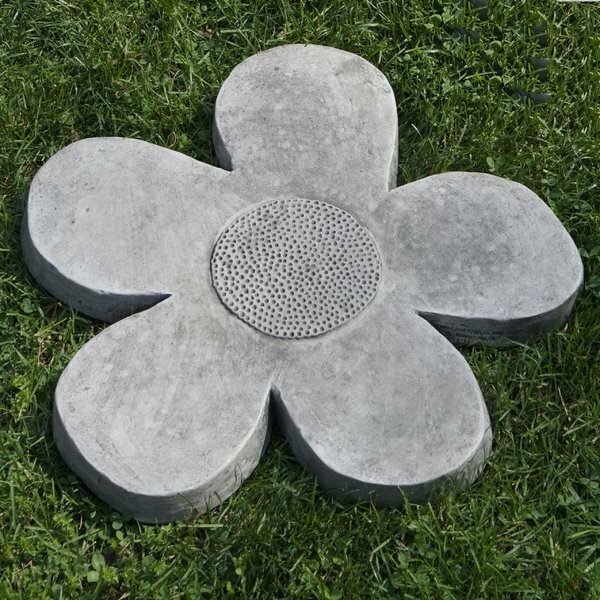 The “Flower Power” stepping stone also has great reviews, and will last for years! 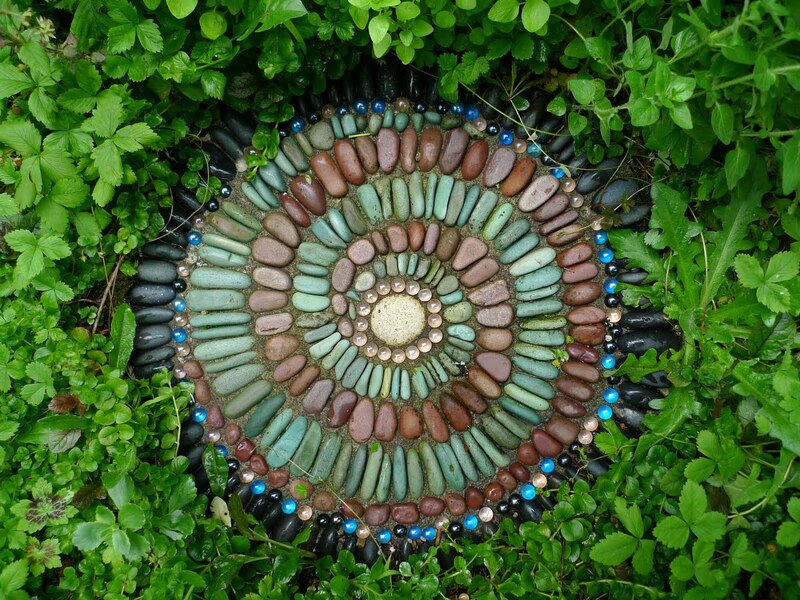 Let us know which of these DIY Garden Stepping Stone projects you plan to try! 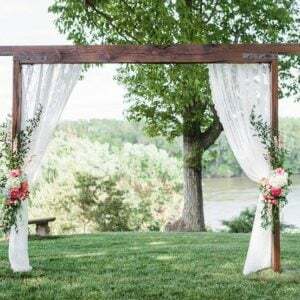 We think you will also love our post on DIY Garden Walkways & Paths! And check out our post on DIY Stunning Planter Box Ideas For Your Patio over on our sister site, OhMeOhMy! All are beautiful and unique. May I ask why Portland cement? Is there an alternative? Thanks. Its cheap, and it works! You could use one of the concrete mixes at any home improvement store, but Portland cement gives a smooth, dense finish free of stones and gravel. I cannot find the tutorial for the glow in the dark step stones on Birds and Blooms website. I’ve spent a good portion of my afternoon looking for it. Can someone help me out, please. Thanks. Love the glow in the dark paint but have read elsewhere that it doesn’t really work. Has anyone tried it with success? Fingers are crossed! Thanks for passing on these great ideas. I have read about paint rocks with glow in the dark paint but I love the painting on stepping stones. I am going to have to try this. Love these ideas! thanks for all the links!! Great article bringing all the possibilities together. I’m going to try the stone mosaic ones. I like the natural look and the idea of them being unique to my garden. Oh those are beautiful! I love the ones with the butterfly designs! I think i’s my first time to see such designs. I’m used to seeing ordinary garden stepping stones. I never really thought about these kinds of garden stepping stones. Anyway, this is a good source of information and tips on diy garden stepping stones. 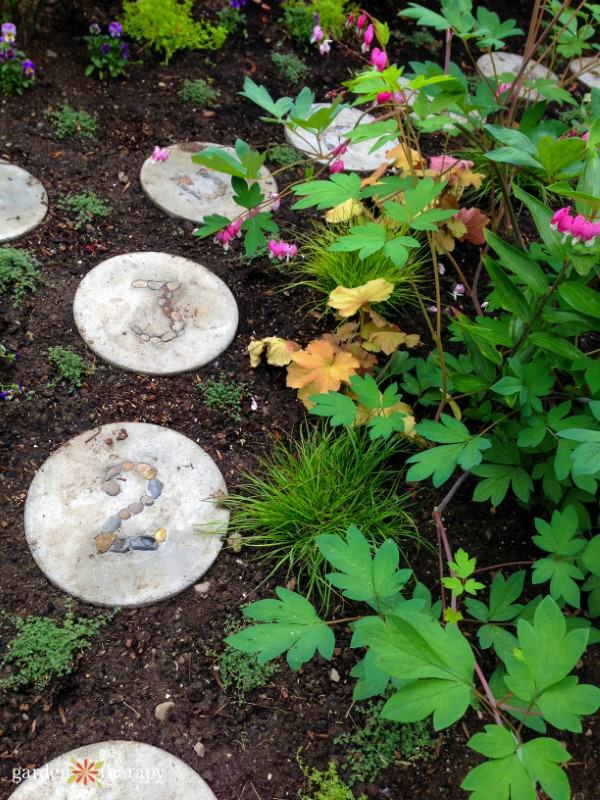 We could all use these tips to make our own garden stepping stones.